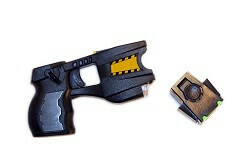 TASER International Inc. (Nasdaq: TASR) is justifiably world famous for its "stun gun" electric weapons. They're used by more than 18,000 police forces in 107 countries around the globe, including cops in 31 of the United States' 34 largest cities. According to the company's own data, their TASER weapons have reduced injuries to officers and suspects by 30% to 80% where they're deployed. The shares had a remarkable run on the Nasdaq, topping $35 on June 11, 2015, as the company announced it was hitting the market with its Axon line of police body cameras following some high-profile deadly-force controversies that led to civil unrest in American cities like Baltimore and St. Louis. …but the stock dropped like a stone, as low as $13.56. 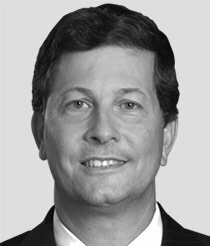 Analysts and short-sighted investors started lumping the company in with bitterly disappointing flash-in-the-pan GoPro Inc. (Nasdaq: GPRO). But the two companies couldn't be more different, and investors who think of TASER as being of a kind with GoPro are likely making a mistake – a costly one. They're ignoring TASER's deep long game, a "secret weapon" of its own. GoPro spent long months as a Wall Street darling, but the sell side has finally come around to see that GoPro wasn't ever going to be a winning proposition. But that realization came at a steep cost; the shares crashed all the way down to $9 from $65, handing credulous investors losses of more than 86%. Their rugged, customizable body-mounted cameras were a retail hit, of course, with their intrepid users posting all sorts of thrilling, sometimes dangerous exploits on YouTube.com. This helped feed the bait and switch that savvy investors knew the company was pulling off: GoPro users used GoPro technology and posted their videos on (some other company's) social media platform, so the company positioned and marketed itself as a social media and tech firm. Nothing could have been further from the truth. At the end of the day, GoPro sold cameras. Popular cameras, but eventually… everyone who was going to buy one, did. There was no growth built in, and no real plan to monetize their admittedly popular products beyond the initial sale. TASER, on the other hand, has been very smart with its capital even as the shares took investors on a roller-coaster ride with its ostensibly disappointing financials. During the months its shares were sinking, the company was pouring everything it could into the launch of its Axon series body cameras. The cameras range from $399 for a single-unit Axon to $599 for the Axon Flex, which can be worn on different parts of the body. The company already had the sales infrastructure in place to start pulling in that revenue as soon as possible. 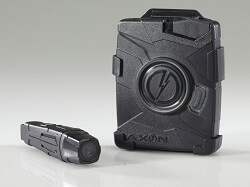 What's more, TASER has plenty of "fans" of its products out there in the law enforcement community, and its Axon system is doing a good job of selling itself. As of June, around 3,500 law enforcement agencies, including those of 26 major American cities, were using 52,700 Axon units. That's where Evidence.com comes in. That's TASER's subscription-based website, where users in the police and security industry can upload films from their body cameras and share them with the public, media, and the court system instantly. The company says that, as of mid-2015, around 77% of its hardware customers were springing for an Evidence.com site subscription of some kind. TASER is offering three tiers of pricing for media storage in its cloud, running anywhere from $15 a month per officer on up to $89 a month per officer for unlimited cloud storage. The benefits of this approach are many, not least that it should help clear the air right away if any use-of-force questions arise. It's already helped secure indictments and acquittals where use of deadly force was in question. The long-term user contracts for Evidence.com accounted for around 80% of the company's revenue last year, and I expect that number to go up, even as sales of the Axon series cameras and the company's electric weapons rise in response to society's ever-increasing need for defense and security. So, TASER has taken a proven profitable social media-like model and applied it to law enforcement with great success. The firm smashed fourth-quarter earnings expectations, turning in earnings of $0.09 per share, more than double the Street consensus. Revenue broke more than $6 million higher than the expected $50.47 million, too. Its weapon sales were up more than 15% during the last quarter of 2015, but Axon revenue jumped by 47% to $9.4 million. And the company contracted with users to do around $159 million worth of business in the future. TASER rewarded patient shareholders with a great February that brought several bouts of double-digit gains, and the shares ended up more than 25% on the month. Unlike GoPro, TASER is an excellent long-term proposition. I think we can reasonably expect TASER to better than double from its current $18.16 a share to surpass its previous highs of around $35. This company is going to continue to bring superior returns to investors who like its long game. TASER is prepared to make new investors a lot of money over the long term. But imagine if you were able to "get in on" such company before it went public, when it was truly it its strongest growth phase. That's just the sort of moneymaking opportunity I want to show you. I'm talking about a chance to invest directly alongside one of the most successful venture capitalists in the world. Click here to learn more.
" But, timeconsuming although or not it's, surprisingly, many people employ this type of savings at stores. Thank you very much for this invitation to your reports. I am sure i will learn a lot in the months to come. Thank you again. JMW.